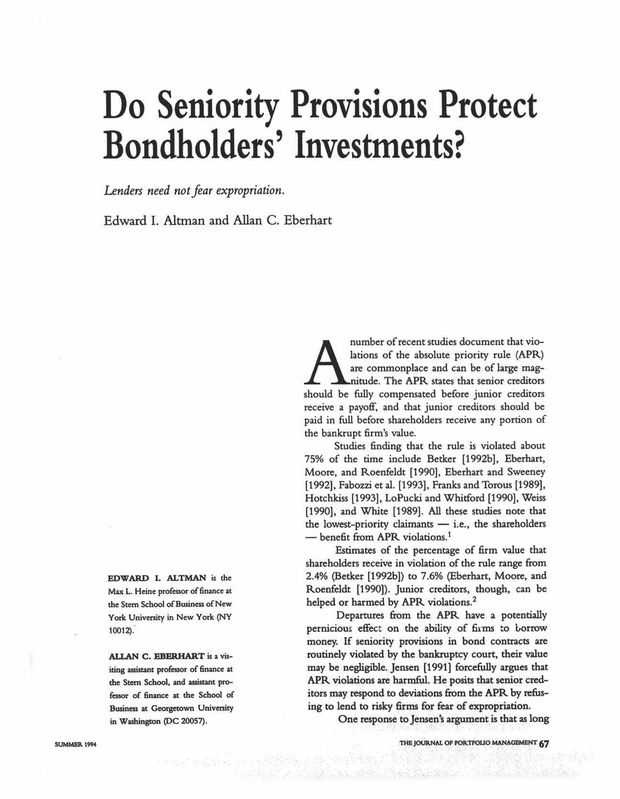 Do Seniority Provisions Protect Bondholders' Investments? The Max L. Heine Proffessor of Finance at the Stern School of Business of New York University in New York (NY 10012). A Visiting Assistant Professor of Finance at the Stern School, and Assistant Professor of Finance at the School of Business at Georgetown University in Washington (DC 20057). You are going to email the following Do Seniority Provisions Protect Bondholders' Investments?